It has been a winter of wild weather. Its been a great demonstration of different types of weather. Looking at this weather chart, the only type of weather I have not experienced this winter is a tornado. 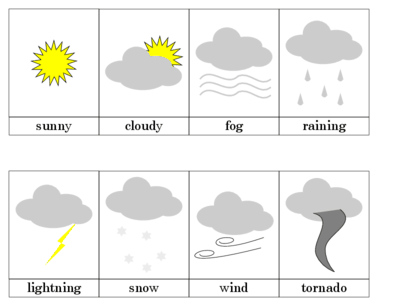 Check out this weather printout at montessorimom.com. Hope your winter is a wonder.